The Department of Physics has a large deployment of Apple Macintosh Systems. This page describes the main Apple Macintosh services provided by the department and also any Frequently Asked Questions. Any public printers in the Physics building the system is located in. All Apple desktop systems setup by the department use your Physics account credentials to login. Systems running macOS Sierra 10.12 or earlier your home directory is mounted from a Physics file server in /home/username, your home directory has two nightly backups of your data. Each system should also have a /Data directory which can be used to store any software or data you wish to store locally on the system, we recommend creating a directory with your username and storing your datasets, software or applications in that directory. Any data stored locally on the system is not backed up unless you have Physics Time Machine enabled on the system. Apple MacBook laptop systems are setup with a local administrator account normally with the same username as your Physics account but with a different password. By default laptop systems are not backed up however we recommend that you use the built in Time Machine backup service either to a external USB device or to the Physics Time Machine Server. All new laptop systems are encrypted with the builtin FileVault disk encryption system, for older laptops which do not have encryption enabled it is available from Self Service. Physics Self Service and installing other Applications and Software. All Apple Macintosh systems setup by IT Support comes with the Physics Self Service application installed. This application allows you to update or install preconfigured software onto your Apple Mac system. All Apple Macintosh systems are able to install software from the Apple Apps Store if you sign in with your Apple ID account. If you need to purchase software from the Apple Apps Store then contact IT Support. If wish to augment the existing MacPorts installation on your desktop system with your own MacPorts installation then you can do so via MyMacPorts. If you wish to build your own software and libraries then you can in your /Data directory, for more information on building your own software then please click here. Apple release a new version of MacOS every year and they tend to only release security updates for the last three versions, therefore you will need to keep the operating system on your system up to date. 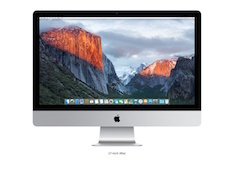 Advice on how to upgrade your Apple Desktops system can be found here. Advice on how to upgrade your Apple Laptop system can be found here. How do I connect my Apple system to the Department of Physics Network? How do I add Department of Physics public printers? How do I remotely access my Apple desktop system? How do I get my Apple Macintosh system repaired? How do I backup my Apple system on the Department of Physics Network? How do I encrypt my system disk on my MacBook? How do I connect to the Department of Physics file servers? How do I setup email from my Apple system? How do I get a signed certificate for Apple Applications for MacOS and iOS?